Last week I reviewed the Norton Recovery Tool that scans a computer on startup for viruses before entering Windows. This week, I want to take a look at another software that achieves the same goal. The antivirus is called Panda Safe CD. The software works by including a ISO file that contains all of the latest antivirus definitions by Panda and an operating system environment. The difference between Panda and the Norton Recovery Tool are that the Panda software doesnâ€™t include a nice installer like the Norton Software to put the antivirus on a CD or USB flash drive. A user will have to manually burn a disk with the ISO. I personally used PowerISO, however one can use any software that can burn an ISO file to a CD. 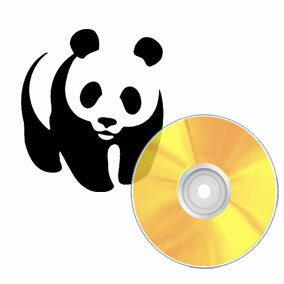 Unfortunately, the procedure to put the Panda Safe CD on a usb drive is significantly more complex and involved. One will have to download the ISO to a Flash Drive utility a simple Google search will yield more information and how to guides. Once a user has managed to get the ISO on a bootable format (i.e. CD or USB drive), the software will load into a custom Linux environment. In the slipstreamed O/S, a Linux version of Panda Antivirus will launch. One big development in the last few months gives panda the ability to scan NTFS hard drives from within the Linux Live CD. In previous versions users have complained about the software being unable to access locked NTFS partitions. However, now this problem has been solved and Safe CD is functioning better than ever. The best part about the Linux Scanning Process is that the Windows OS or the active virus in no way can interfere or complain about the active scan. This is because Windows is not loaded and therefore any viruses are also not loaded . All virus traces can be easily deleted regardless of whether they are an active process under normal Windows operation. Therefore, if a user has a nasty virus infection it is definitely beneficial to use a boot cd antivirus. I only ran into one problem after the Panda Safe CD. After a system scan is run and the computer is restarted, I get an scan disk screen saying that the security descriptors have been modified. Please keep in mind that this is not a serious occurrence and is a result of Linux accessing the NTFS partition. Just let the scan complete and the message will not reoccur.